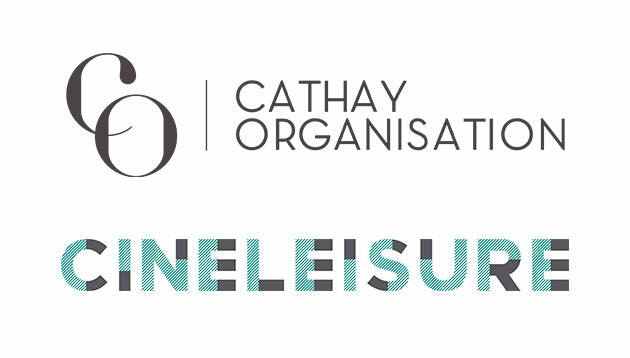 Cathay Organisation has rebranded its logo, in tandem with the company’s growth plans. Cathay Cineleisure Orchard, its mall targeted at youths, will now also have a logo separate from that of the group’s. This comes after the group divested all interests in the cinema sector last year for SG$230 million, to focus on its property business. Among the list of businesses the group owns include Hangout Hotels, The Cathay Gallery and The Cathay Residences. Here’s a look at the old logo. In a statement to Marketing, Cathay Organisation’s spokesperson said it worked with a freelance designer to actualise the logo. While the spokesperson declined to reveal the monetary value of the rebrand, she added that marketing campaigns will be launched after renovation works have been completed. The new “CO” logo is modernised and simplified, aligning with the company’s new focus on property management and private investments. It also signifies a group of companies providing a connecting space for the community to gather, whether for leisure or work. It was inspired by the group’s original logo in the 1980s, which was an alpha-gliphic composing of three parts, each depicting the outline of a film reel. The curved lines and circles of the film reel were also designed to reflect and represent the “C” and “O” of Cathay Organisation. Meanwhile, Cathay Cineleisure Orchard will be known as Cineleisure moving foward, with the rebranding exercise being an attempt to re-emphasise its position as a destination mall for youths. The multiple black shapes in the logo represent a variety of tenants in all “shapes and sizes”, while the stripes represent the mall’s patrons coming together, thus forming the word “Cineleisure”. In conjunction with the rebranding exercise, the mall will also be undergoing addition and alteration works to align its interiors with the new branding. Renovation works will be done in phases beginning July 2018. The refreshed, industrial-inspired interiors will see the pairing of fun and playful elements with cool textures of concrete and corrugated metals, juxtaposed against rustic wood timber. Additionally, Cathay Malls will introduce a programme known as “Social Rewards”, to foster community interaction and appeal to its digitally-savvy consumers. To earn points and redeem special offers from the malls, shoppers are encouraged to post, like, share and comment on social media. Through this, Cathay Organisation hopes to form a close-knit community and network of shoppers who can come together and be rewarded through shared, positive experiences. Besides the new social rewards programme, both malls will also be fitted with new technological features, such as the digital concierge which will be implemented in the fourth quarter of 2018. The concierge, which can be accessed via Facebook Messenger or Cathay Malls, aims to connect the malls’ shoppers and target audience, primarily digitally-savvy millennials, with its wide range of products and services. This new tool allows consumers to purchase movie tickets or vouchers and even book a taxi, while functioning as an information desk. Consumers will also receive deal alerts from merchants and participate in quizzes to win prizes. In 2017, mm2 Asia acquired Cathay Cineplexes from Cathay Organisation. No staff members were affected by the acquisition, nor were there plans to open more cinemas or close them. mm2 Asia’s executive chairman Melvin Ang also said there will be no changes to the Cathay name. Cathay Organisation also wound down its film distribution business as part of a non-compete portion of the sale agreement. Prior to the acquisition, mm2 Asia purchased two Cathay cinemas in Malaysia and rebranded them to mmCineplexes, as it did not have the rights to the Cathay name. Created and led by Rani Raad, president of CNNIC, T1 aims to consolidate the brand's international digital advertising capabilitie..
TamJai SamGor Mixian (譚仔三哥米線) has taken its first step in brand marketing with an ad to declare originality of the family business..